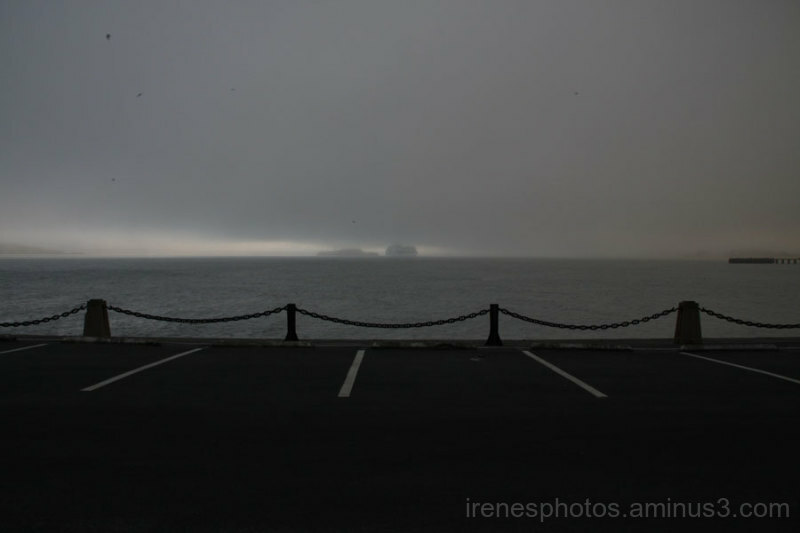 Irene (San Francisco, United States) on 20 September 2017 in Miscellaneous and Portfolio. Cruise ship passed through the gate and now passed Alcatraz. Interesting view...Feels like I am travelling too!!!! There is a sense of forlorn in this shot. Maybe it is the clouds and water and the chain fence. Nice. A site of the prison for all to see on the ship Irene. Excellent capture. Lovely mood in this minimalistic photo. such beautiful frame, perspective & atmosphere!